Westhorp, G. (2014). 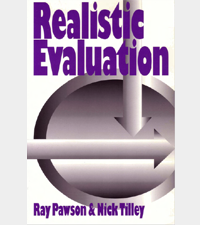 Realist Impact Evaluation An Introduction. Research and Policy Development, (September), 1GÇô12. Adams, A., Sedalia, S., McNab, S., & Sarker, M. (2016). Lessons learned in using realist evaluation to assess Maternal and Newborn health programming in rural Bangladesh. Health Policy and Planning, 31(2), 267–275. Dieleman, M., Gerretsen, B., & van der Wilt, G. J. (2009). Human resource management interventions to improve health workers’ performance in low and middle income countries: A realist review. Health Research Policy and Systems, 7, 1–13. Djellouli, N., Mann, S., Nambiar, B., Meireles, P., Miranda, D., Barros, H., ... Colbourn, T. (2017). Improving postpartum care delivery and uptake by implementing context- specific interventions in four countries in Africa : a realist evaluation of the Missed Opportunities in Maternal and Infant Health ( MOMI ) project, 1–14. Gopalan, S. S., Das, a, & Mutasa, R. (2014). What makes Health Demand-Side Financing Schemes Work in Low-and Middle-Income Countries? A Realist Review. J Public Health Res, 3(3), 304. Greenhalgh, T., Harvey, G., Pawson, R., Greenhalgh, T., Harvey, G., & Walshe, K. (2005). 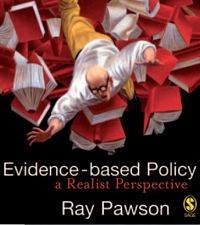 Realist review - A new method of systematic review designed for complex policy interventions Realist review – a new method of systematic review designed for complex policy interventions, 10(August), 21–35. Greenhalgh, T., Wong, G., Jagosh, J., Greenhalgh, J., Manzano, A., Westhorp, G., & Pawson, R. (2015). Protocol-the RAMESES II study: Developing guidance and reporting standards for realist evaluation. BMJ Open, 5(8). Pawson, R., & Tilley, N. (2002). Realistic Evaluation Bloodlines. American Journal of Evaluation, 22(3), 317–324. Pawson, R., & Tilley, N. (2004). Realist Evaluation. London. Tilley, N., & Pawson, R. (2000). Realistic Evaluation: An Overview. The British Journal of Sociology, 49(September), 331. Wong, G., Westhorp, G., Manzano, A., Greenhalgh, J., Jagosh, J., & Greenhalgh, T. (2016). RAMESES II reporting standards for realist evaluations. BMC Medicine, 14(1), 1–18. 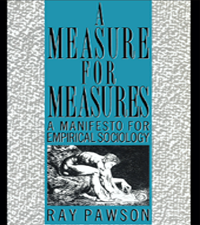 Pawson, R., & Tilley, N. (1997). Realistic Evaluation. Lembaga Administrasi Negara. (2015). 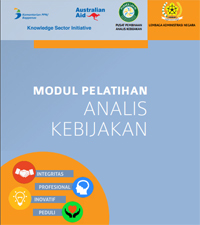 Modul Pelatihan Analis Kebijakan. Jakarta: Lembaga Administrasi Negara. Republik Indonesia. (2012). 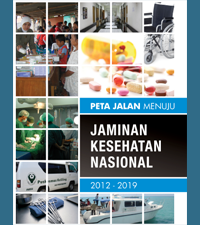 Peta Jalan Menuju Jaminan Kesehatan Nasional 2012-2019. Jakarta.